Hey guys I posted this on the FB group but I know some don't check that as well. Since the big end of season meet is Sunday and I know some ppl need things to be done on their car. Im going to have a small get together at my place this Saturday. Should be starting around Noon. Most of you know where I live and have my number. If you don't just pm me and I will send my info. Im located in Neptune, NJ 07753. If we need I have 3 auto stores in walking distance from my house. Napa, Autozone and Advance Auto. 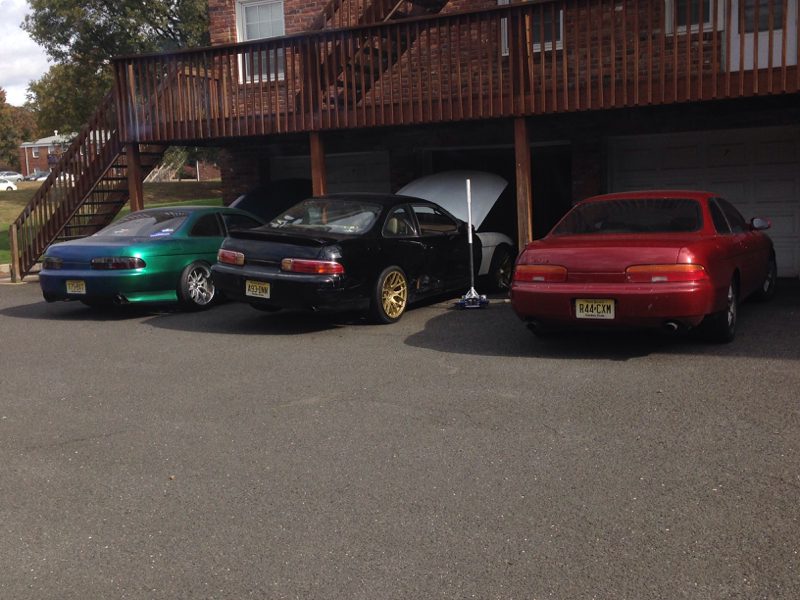 Also theres a Meet at 5pm at Brookdale College(Lincroft NJ) which is about 20mins from my place, maybe we can all cruise there after we are done working on our cars. LMK if your down for both. T.J. I need a quick detail lol. Lol. Jealous of the walking distance!! I had a wrench day today.. Damn Jack should of hit me up. I would of stopped by and added another sc to this pic lol.